This family-friendly North Adelaide motel is located in the entertainment district, within a 15-minute walk of Adelaide Aquatic Centre and St Peter's Cathedral. Adelaide Oval and Adelaide Zoo are also within 1 mi (2 km). North Adelaide Station is 18 minutes by foot and Prospect Ovingham Station is 19 minutes. 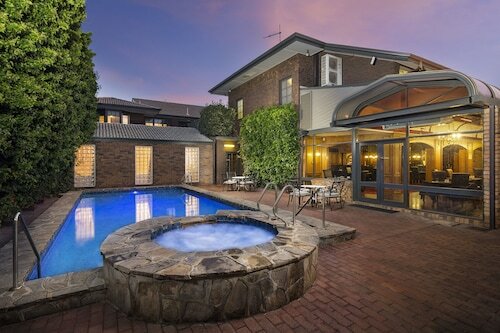 Situated in North Adelaide, this hotel is within 1 mi (2 km) of Adelaide Zoo and Adelaide Oval. Carclew Youth Arts Center and Adelaide Aquatic Centre are also within 2 mi (3 km). 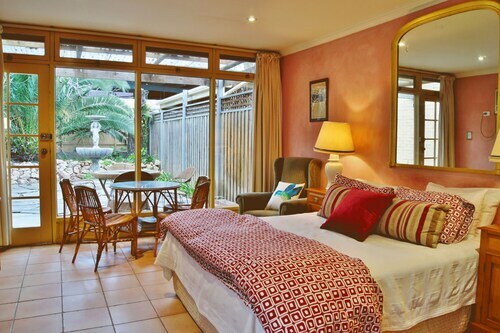 Situated in North Adelaide, this hotel is within 1 mi (2 km) of Adelaide Aquatic Centre, Adelaide Oval, and Adelaide Zoo. Rundle Mall and Adelaide Casino are also within 2 mi (3 km). North Adelaide Station is 18 minutes by foot and Prospect Ovingham Station is 19 minutes. These apartments are located throughout the area in North Adelaide. 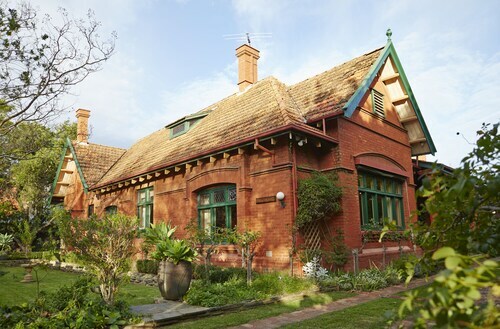 These cottage accommodations are located throughout the area in North Adelaide. Situated near the airport, this luxury apartment building is within 1 mi (2 km) of Calvary North Adelaide Hospital and Adelaide Oval. Rundle Mall and Adelaide Zoo are also within 2 mi (3 km). North Adelaide Station is 10 minutes by foot and Prospect Ovingham Station is 19 minutes. Located in the heart of North Adelaide, this luxury apartment building is within 1 mi (2 km) of Women's and Children's Hospital, Adelaide Oval, and Adelaide Zoo. Rundle Mall and Adelaide Botanic Gardens are also within 2 mi (3 km). North Adelaide Station is 22 minutes by foot and Prospect Ovingham Station is 23 minutes. If you think “Go big or go home”, think again! North Adelaide may be a city on the small side of the spectrum, but it makes up for size with lovely gardens and lots of charm. Plus, it’s just across Karrawirra Parri (aka the River Torrens) from Adelaide’s historic city centre. Enjoy laid-back village vibes one park picnic at a time and find your happy place relaxing in one of the best North Adelaide hotels…or on the beach looking out over nearby St. Vincent Gulf. 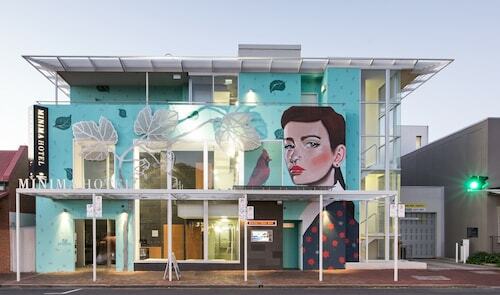 Keep reading our North Adelaide travel guide to get the scoop of this awesome holiday destination. How do I get to North Adelaide from the airport? The commute from Adelaide Airport to your North Adelaide hotel is a short 9km drive in one of our car hire options—well, as long as you don’t get distracted by a round of golf at one of the many country clubs along the way. What are the most popular hotels in North Adelaide? What kinds of hotels are in North Adelaide? 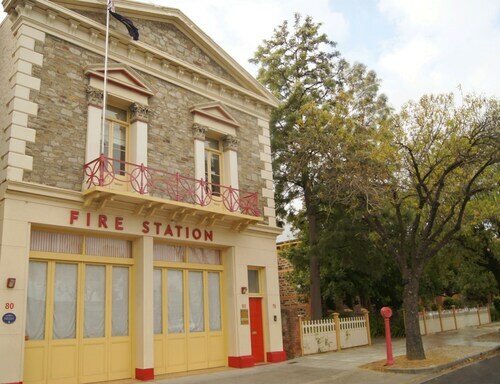 Fire Station Inn: At this historic hotel, local living meets luxury. Book a cosy getaway for the whole family or a group of your closest friends in one of the serviced apartments—each has a spa bath and designer toiletries in addition to lavish furnishings. O'Connell Inn: You’ll have to try really hard to skip a park view from this hotel, which is located on the north side of the suburb. O’Connell Inn is ideal for the discerning traveller who has high expectations no matter how low the rates. Amenities are simple and the mid-century modern décor matches the building’s classic exterior. Where should I stay if I’m visiting North Adelaide? 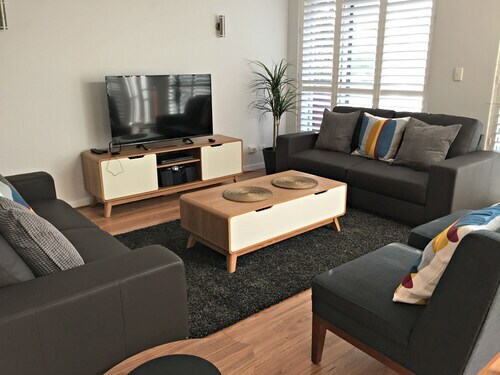 Adelaide Serviced Accommodation: With easy proximity to Carclew Youth Arts Centre and Adelaide Zoo, this is a stellar choice for a family holiday. Take the kiddos out on adventures and make yourselves at home with a fully equipped kitchen. 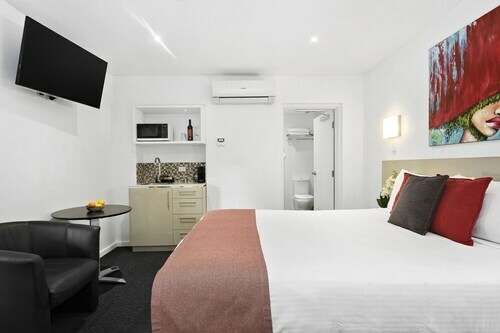 North Adelaide Boutique Stayz Accommodation: This hotel is a few minutes’ walk to Adelaide Aquatic Centre and the North Adelaide Golf Course, and the pillow-top beds with luxurious linens will feel superb after a long day on the green. What are some things to do in North Adelaide? Whether you’re a casual cricket follower or a diehard rugby fan, see a match at the Adelaide Oval, the town’s beloved stadium. This is where you’re sure to see the locals at their loudest and rowdiest. Want some gosh-darn peace and quiet after a big win? Wander through Adelaide Botanic Garden. The colours are epic at sunset. Learn about the region’s earliest civilisations at the South Australian Museum, where Aboriginal art and artefacts are on exhibition, from petrified fossils to wooden boomerangs. Your relaxing, riverside getaway is waiting, so book accommodation in North Adelaide with Wotif and get away already! Save on flights and hotels when you book one of our North Adelaide holiday packages, and add some Port Macquarie accommodation for extra fun in the sun. Two is better than one, especially when it comes to holiday destinations! How Much is a Hotel Room in North Adelaide? Hotels in North Adelaide start at AU$73 per night. Prices and availability subject to change. Additional terms may apply. Nice and quiet. Very comfortable. Close to restaurants and the city. Limited parking though. Great location, spacious, clean and tidy, lots of options nearby for eating and entertainment. No elevators, but staff are happy to assist.